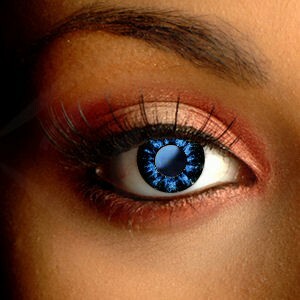 Choose soft drama and shine with our Feather Blue Contact Lenses. 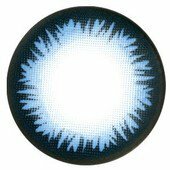 These blue contact lenses have a delicate design that adds a hint of ice-blue to your natural eye color. 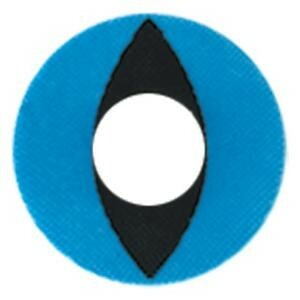 They also have a black outline with a soft feathered edge. 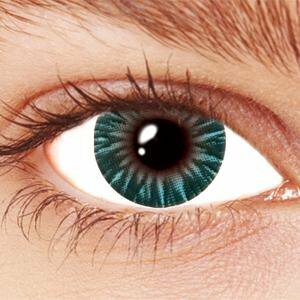 This adds drama and makes your eyes look truly arresting and vibrant. Perfect for when you need to stand out from the crowd.